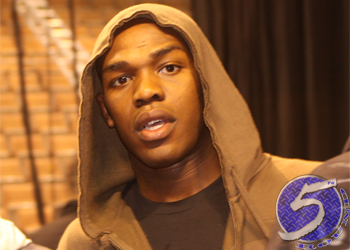 With a potential box office superfight on the line against Anderson Silva, perhaps nobody was more disappointed to see “The Spider” get knocked out by Chris Weidman at UFC 162 than reigning UFC light heavyweight champion Jon Jones (pictured). Jones was sitting front and center with buddy Urijah Faber scouting the scrap as the UFC filmed both men while the fight was live. It was clear Jones was pulling for Silva. It was even more apparent he was shocked with what took place in the second round. Jones’ hand-over-mouth silence was the exact same reaction I gave my parents when they told me last Christmas that Santa wasn’t real. “You gotta respect the game, man. None of us are invincible,” a stunned Jones said. A Silva vs. Jones bout would have broken every live gate and pay-per-view record for the UFC, which in turn would have scored the two superstars hefty bonus checks. I’m just curious, Weidman upset Silva in the beginning of July. Why has the UFC been sitting on this footage until now? Is it because tickets for “UFC 168: Weidman vs. Silva II” go on sale this week? If so, A+ for the marketing team. If they were just lazy and this was merely a coincidence, A+ for procrastination. Silva looks to reclaim his throne December 28 inside MGM Grand Garden Arena in Las Vegas, Nevada.